The red heart of Alice Springs is a long way from lush green dairy pastures of Drouin but a young colt bridged the gap on Saturday. In taking out the Inglis 2YO Handicap by four lengths at Pioneer Park, the Drouin bred Savatoxl was the first ever winner for Victorian-based Darley stallion Kuroshio. Kuroshio, a speedy son of Exceed And Excel, has had only a handful of runners to date. Among his tested progeny have been Not Usual Currrent, who recently ran with merit in a Group 1 race in NZ, and Yulong February, who won a Cranbourne trial last week and may debut for Aaron Purcell later this week. Savatoxl’s Gippsland based breeders, Carrington Park’s Sheryl and Mark Atkinson, were thrilled that Savatoxl had secured the win on his debut. “I try to follow all of our horses that we have bred as we have put so much care into raising them, but he was named so close to him running that I missed the race!” Sheryl said. “When Ryan (Arnel) from Stonehouse Thoroughbreds called me with the good news, I wasn’t surprised he had talent (and got the win)…we always loved him as a foal and thought he was a great type as a yearling. Having only a couple of yearlings each year to sell, Carrington Park places its yearlings with Stonehouse Thoroughbreds for sales. Savatoxl, a colt out of Carrington Park’s Savabeel mare Li’l Mis Hayley, was in the Stonehouse draft at the 2017 Inglis VOBIS Gold Yearling Sale and sold for $8,000 to the bid of the Alice Springs Turf Club. “They do a fabulous job and he was prepped beautifully…although he was very popular at inspections, unfortunately his x-rays showed a small blemish and put most of the buyers off,” Sheryl said. The Alice Springs Turf Club, which bought seven yearlings at the VOBIS Gold Sale, then on sold the Kuroshio colt at the Inglis Red Centre Sale where he fetched $18,000, the top price of the sale. He was purchased by part owner and experienced local trainer in Will Savage. “There is no real reason that he couldn’t hold his own and I believe he could have won anywhere, but it just happened to be in Alice Springs, a thriving racing community in one of Australia’s most remote locations,” Sheryl said. The Atkinsons managed a band of twelve broodmares at one time, but they are now down to breeding two mares with plans to travel in the future. “Anybody who has horses knows that you can’t leave them. With Eliza Park retired and our Galileo mare Sister Earth sold over the border to Cornerstone Stud specifically to go in foal to Sir Prancelot, we now just have the Encosta De Lago mare Crimson Ribbon and Li’l Miss Haley. 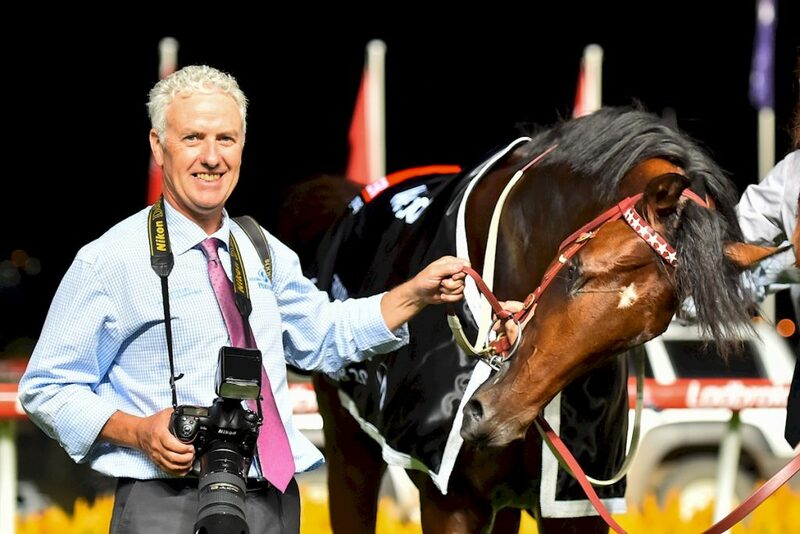 “I think the Brazen Beaus are going to go very well, and I’m sure it will be like I Am Invincible, that once they get into the trainers’ hands, they will get every chance and be in high demand. Carrington Park has bred and shown Angus cattle at the highest level throughout Australia for 20 years, but it was a couple of close friends that got Mark and Sheryl Atkinson involved in breeding thoroughbreds at their Drouin based stud. “I was originally a show rider growing up, and I said to Mark, ‘you do know what you are getting yourself into?’ when we thought about getting back into horses,” Sheryl explained. “We are not just owners that have our horses on agistment, we do everything for them. We walk on the mares, we foal down in the middle of the night and then we spend all that time raising them and getting them ready to go to a sale. When they sell, we like to stay interested in them and hope they become successful. The atmosphere of the inaugural Inglis Easter Sale at the new Riverside complex will be alive with buyers, racing identities and onlookers, providing Woodside Park Stud with a brilliant opportunity to show off its stellar draft of four yearlings. Unsurprisingly, the four youngsters include progeny of stud’s two star sires in Written Tycoon and Zoustar as well as progeny of Sebring and Reliable Man (GB). And going into the big Easter sale, Woodside Park Stud CEO Mark Rowsthorn re-stated his guarantee that the stud’s Champion Victorian stallion Written Tycoon will remain in Victoria. “Written Tycoon is firmly entrenched at Woodside Park Stud, and he will remain here for the rest of his career. He will no doubt continue to sire many more top-class performers for the Victorian breeding industry for years to come,” Rowsthorn said. Headlining the elite Easter draft is a Written Tycoon filly, catalogued as Lot 53 out of the Redoute’s Choice mare Brambling. A beautifully related filly, her dam is the full sister to Maules Creek, a three-quarter sister to Tangled, and a half-sister to Sebrose. “She is a filly by the sire of the moment, from a good young daughter of Champion three-year-old NZ stayer and filly of the year, Bramble Rose. She has been doing a brilliant job at stud with three stakes winners, and it is an impressive pedigree to either race or breed,” Woodside’s General Manager of Commercial, James Price said. “Typical of Written Tycoon, this intelligent filly has strength, size and power in spades, and will attract the astute buyers,” he added. Lot 122 is a chestnut filly by Sebring from the Encosta De Lago mare, Factor Of Safety who is a half-sister to the Group 1 winner Gathering and the Group 3 winner Florentina. The mare’s progeny thus far have included current season 3YO Warranty who is a city winner and was third in a stakes race at Flemington during Cup Week. “She is a lovely filly, typical of the breed, sweet and light on her feet,” Price said. 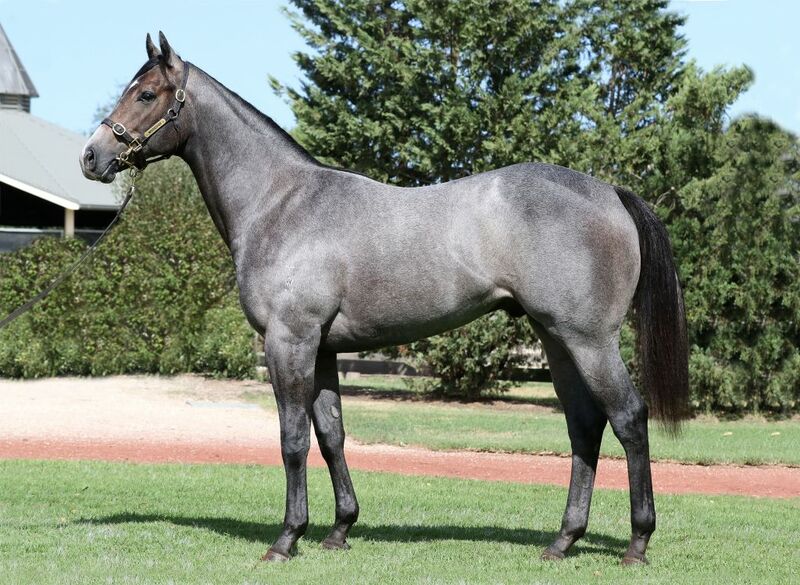 Lot 336 is a loose moving, balanced and well-muscled Reliable Man grey colt. out of the Rock Of Gibraltar mare, Run Roxy Run, a five-time winner and Group placed mare. 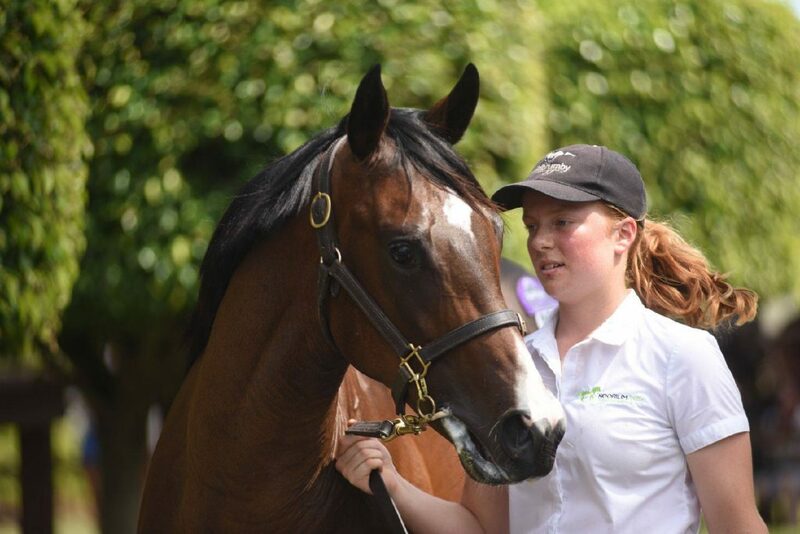 The strong colt caught the eye of Woodside Park at the New Zealand weanling sale and Woodside are expecting him to be highly admired at the Easter Sale. Demonstrating a wonderful international pedigree, Lot 364 is the Zoustar colt out of the French Kendargent mare, Snow Bell who is a four-time winner including a Listed win at Longchamp. 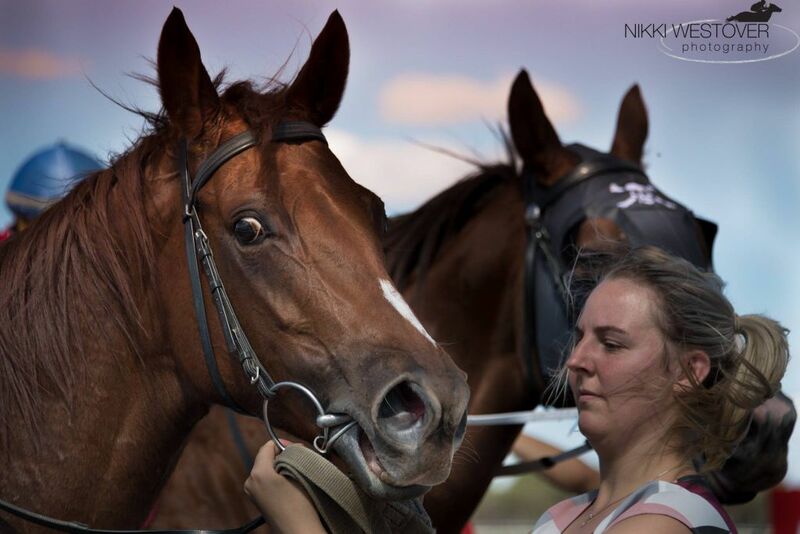 The colt’s 2YO brother Star Fall, trained by Arron Purcell, was impressive in a recent trial at Cranbourne and is entered for his debut at Caulfield this Saturday. “It is wonderful for the farm to have strong representation at the Southern Hemisphere’s biggest sale and we are delighted to be offering stock from our stallions that are presently hitting the high notes,” Price said. 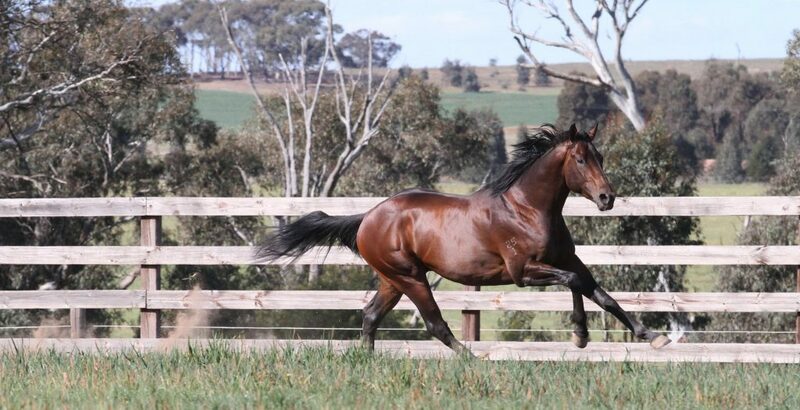 “We are extremely excited for the breeding season ahead with our draft of champion sires led by the headliner Written Tycoon, youngsters Rich Enuff and Cable Bay and impressive newcomer Tosen Stardom,” Price said. For further information on any of the Easter yearlings, contact James Price at Woodside Park Stud on 03 5424 8166. A first pony at twelve years old and a deep interest in horses has led Bendigo’s Hannah Mika to take up equine studies at Marcus Oldham College. Hannah is studying her Diploma of Equine Management at Marcus Oldham and is the current Australian Thoroughbred scholarship recipient, a scholarship supported by Thoroughbred Breeders Victoria . 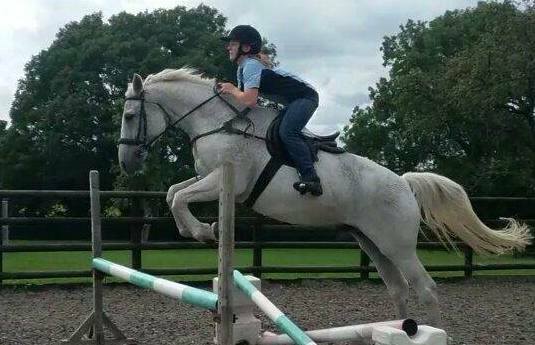 It was a fateful day at the age of twelve when Hannah received her first ever pony and, despite coming from a family with no prior equine interests, she has been an avid horse enthusiast ever since. “Growing up I attended my local pony club, Neangar Park (at Eaglehawk near Bendigo), and was regularly out at eventing competitions on the weekends. We wanted to go somewhere we could learn more about horses and have fun at the same time,” Hannah explains. While Hannah is still a member of her local pony club to this day, upon completion of her VCE studies she initially intended to pursue her interest in equine dentistry at a tertiary level. It was through her pony’s dentist, Russell Schischka, that she was introduced to Stonehouse Thoroughbreds’ Ryan Arnel, a graduate of Marcus Oldham College himself. Ryan strongly encouraged Hannah to get some hands-on experience prior to commencing her university studies, which was an invaluable piece of advice that has undoubtedly placed Hannah in great stead today. Taking Ryan’s wise words on board, Hannah packed her bags and gained an opportunity to work with the highly respected Tweenhills Farm and Stud in England for a year. “I was a stable hand; mucking out stalls, prepping yearlings for sale and assisting with the breaking in process of a few yearlings. 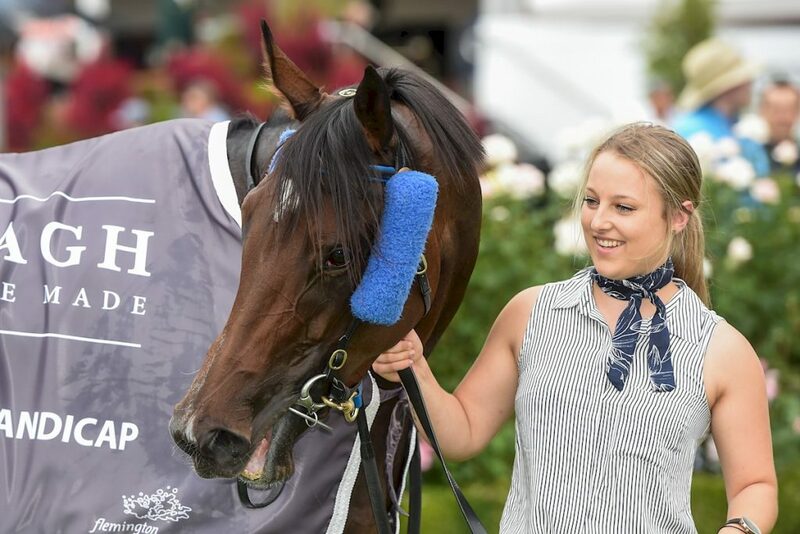 This was a steep learning curve for me as it was my first real glimpse into the thoroughbred industry but at the same time it was thoroughly rewarding,” she said. It was at Tweenhills that Hannah worked under the guidance of Graham McCourt, a former Champion Hurdle winning jockey, who now works as the farm’s yearling manager and breaking in manager. It was a major turning point for Hannah, instilling in her a great passion for the thoroughbred breeding industry. Prior to returning home, she reconnected with Ryan Arnel who suggested that she should apply for the Diploma of Equine Management at Marcus Oldham. “I took his advice and did some research on what the course had to offer and decided that this was the path for me,” Hannah explains. Since arriving home, Hannah has continued to gain practical work experience. She has completed a yearling preparation at Stonehouse Thoroughbreds, and was also introduced to the team at Three Bridges Thoroughbreds. While she is now settling into her studies at Marcus Oldham College, she is especially eager to meet more breeding industry participants. “Gaining contacts is one amazing thing that I’m looking forward to, as well as the opportunities that will come about from this experience,” she explained. The first half of the diploma’s curriculum is focused on general horse management, followed by a semester specifically concentrated on racing and breeding including a stint at Coolmore in the Hunter Valley. As for Hannah’s ultimate ambition, she hopes to one day emulate her role model, Graham McCourt, to become a highly respected horseperson in the position of yearling manager or breaking in manager. TBV will be sure to follow Hannah’s development with a keen interest, and we wish her all the best in her current studies and future endeavours. The Australian Thoroughbred Scholarship is offered annually through Marcus Oldham. Along with TBV, the scholarship is supported by Coolmore Stud, Star Thoroughbreds, Mustad Saddleworld, Prydes Easifeed and Plasvacc. Victorian based Sun Stud was celebrating last Friday night when their homebred two-year-old colt, Chess Star, gave the stud’s popular young sire, Fighting Sun his first stakes winner in the Listed St Albans Stakes at Moonee Valley. And training legend Gai Waterhouse played a strong role in the story. Not only is she a co-trainer (with Adrian Bott) of the young colt, she was also the trainer of Fighting Sun, a one-time Golden Slipper favourite who had speed to burn before succumbing to injury. It was also fitting Chess Star’s jockey Mark Zahra wore the yellow and red colours of Sun Stud for the prominent win with the Romsey based operation having invested strongly in the stallion. 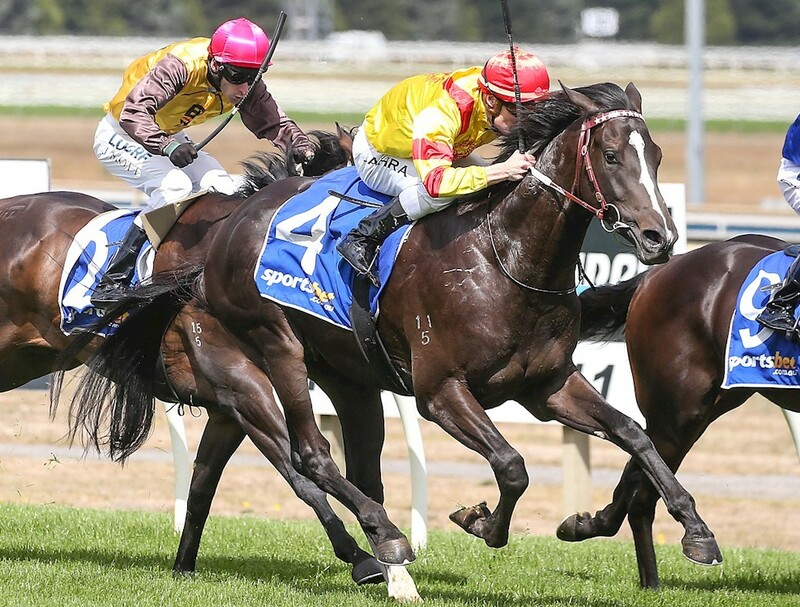 Sun Stud Operations Manager David Grant believes the win may validate Fighting Sun as next flagship stallion for the Victorian breeding operation, off the back of having stood six-timed Victorian Champion Stallion Bel Esprit. “The main focus with Sun Stud is to race good looking, well-bred colts, ultimately at stakes level and higher, with the view to making them worthy of graduating to our strong stallion roster,” Grant said. “Fighting Sun is really Sun Stud’s foundation stallion. He has been the flag bearer for our operation’s vision, as Mr Cheng bought him as a yearling, raced him, stood him at stud and now he is producing his own stakes winners. “Remarkably, Fighting Sun has been able to sire a stakes winner sooner than his own sire, Northern Meteor did at the same point in his illustrious, but short-lived career. “He has an exciting future ahead as he has covered brilliant numbers of well-bred and performed mares. In his first 4 years at stud, he has covered 560 mares, and interest is already strong for this season. He will definitely cover well over 100 mares again,” Grant said. Chess Star is out of the stakes-winning mare Social Glow (Aghaadir) who was runner-up in the Group 1 Swettenham Stud Stakes. Aside from Chess Star, other Fighting Sun progeny have also been racing with distinction including the winner and Group 3 placed Platinum Mam’zelle and quality winners Sunfighter and Naduri. The Mick Price trained Fighting Harada has been racing impressively without winning in good maiden company. Gai Waterhouse’s Racing Manager Emma Pearce was thrilled with the win. “He is an exciting youngster, and in his trials he has really pushed (Golden Slipper runner) Santos to the line. The stable had a good opinion of him, so we sent him down to Melbourne to gain experience and to take advantage of the VOBIS bonuses on offer,” Pearce said. “Being only his first preparation, he has just excelled and is probably unlucky not to be a multiple winner, so it was really rewarding to get the stakes win under his belt. After the courageous, front running win at Moonee Valley, the stable’s Melbourne Foreman Roger Elliott echoed Pearce’s sentiments, while adding that the progressive colt may now head to Sydney for his next assignment. 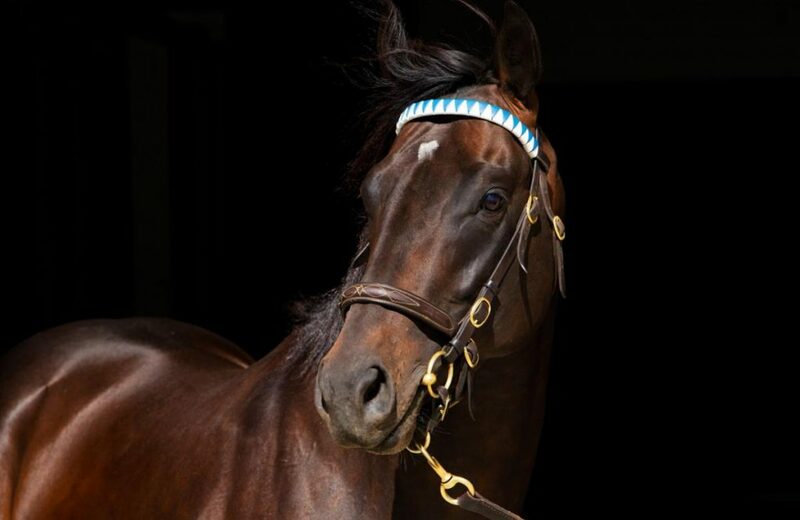 The stunning, near black, stakes-winning stallion was offered online through Bloodstock Auctions selling for $12,100. Peter, Pauline, Jana and Toby Liston, together with the Three Bridges Thoroughbreds team are deeply saddened to announce the tragic loss of Unencumbered on Monday night. The son of Testa Rossa had been diagnosed with chondritis, a progressive inflammatory condition of the throat. He underwent surgery for the condition, however passed-away overnight as a result of post-surgical complications. “Unencumbered was a special horse with such a great personality, everyone that has ever come into contact with him will miss him terribly. “He put his trainer Bjorn Baker on the map and his memorable win in the 2014 Magic Millions 2YO Classic (1200m) at the Gold Coast, with Nathan Berry in the saddle was a fairy tale result for his big group of owners. “He has been well supported by breeders since retiring to stud here with us, covering over 500 mares in his first four seasons at stud, and last spring was his fourth consecutive season of covering over 100 mares. A winner of five of his 10 starts, amassing prizemoney of $1.9 million, Unencumbered was laid to rest peacefully in the early hours of this morning at Three Bridges Thoroughbreds where he will continue keeping watch over everyone and overlooking the beautiful Loddon river. Ealing Park foal wins Group 1! A Group 1 winner over the weekend bred in Victoria almost escaped us here at the TBV newsletter desk. But we contacted the Johnson family of Euroa’s Ealing Park just in time about this surprise top-level winner for this week’s newsletter. 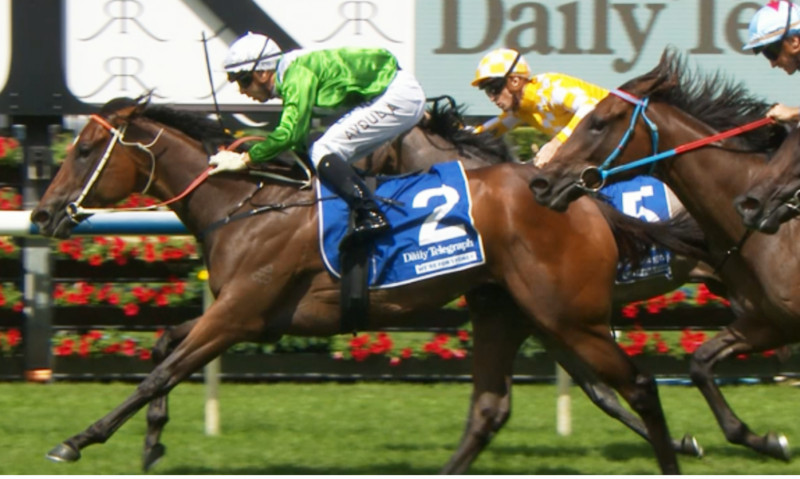 The Ron Quinton trained Daysee Doom (Domesday) took out the $600,000 Group 1 Coolmore Classic (1500m) at Rosehill Gardens just beating another Victorian bred Domesday mare in Oregon’s Day. It was a tremendous win for Daysee Doom who took her record to four stakes wins and career earnings of $1,174,575. She was bred and is still owned by Western Australia’s Jack and Anthea Griffin. But she was born and raised on the green grass of Euroa’s Ealing Park. 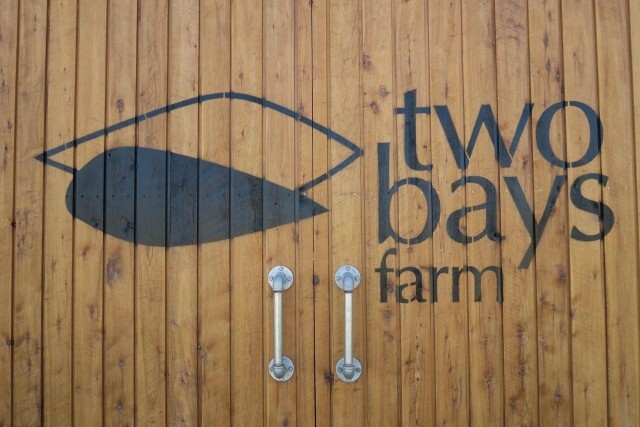 Ealing Park’s Tim Johnson (a former President of TBV) recalled the sad story behind Daysee Doom’s early days at the farm. “Jack Griffin sent her over to us to walk her on to Darley at Northwood and be covered by Domesday. The mare, See A Victory, stayed with us and the following season foaled down (the Domesday filly) and went back to Darley (to Street Boss). “But unfortunately, that (Street Boss) foal was in a dog sitting position. We sent her straight to the vet for a caesarean. The foal was already dead though and the mare died sixteen days later back at the farm. That ‘’lovely filly”, a 2012 foal, would be sent up to New South Wales to be broken in a few months later and sent to Ron Quinton’s stables before being named Daysee Doom. Tim, who with his wife Lisa, ran a highly successful operation at Ealing Park has wound back operations in recent years. Daysee Doom was from one of the last bigger crops of yearlings to come off the farm. Other Group 1 winners to grow up at the farm in modern times have included Titanic Jack and Grand Journey while Cox Plate heroine Pinker Pinker as well as Feint Perfume were both foaled down at Ealing Park. Another Victorian sired Slipper winner? 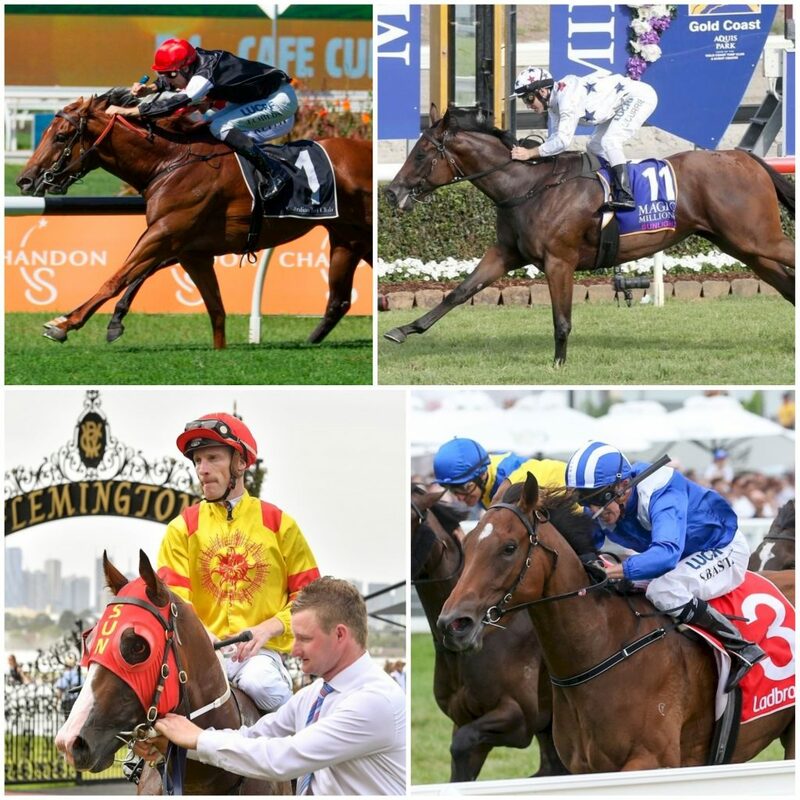 The last two Golden slipper winners have been the progeny of stallions standing in Victoria. Will the 2018 edition make it a trifecta? One of the major fancies is Written Tycoon’s Blue Diamond winner Written By (raised at Nagambie’s Basinghall Farm). 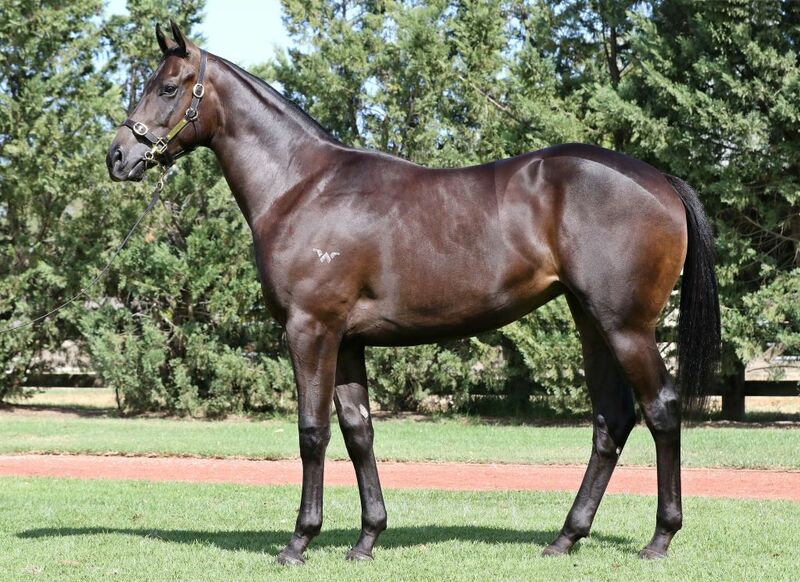 Then you have the Lindsay Park trained, Dorrington Farm bred filly Enbihaar a daughter of Magnus. And finally, there is a race favourite the superstar filly Sunlight whose sire Zoustar shuttles between Woodside Park and New South Wales. And we can’t forget the Sun Stud-owned Prairie Fire who was bred by Victoria’s Ed McKeon and family at Gnarwarre’s Rosemont Stud. Save for Enbihaar, the Victorians have drawn superbly a few spots off the inside rail and are primed for what is arguably the world’s best juvenile race on turf. The two favourites, Sunlight and Written By, come off great winning efforts in their respective races at Rosehill last Saturday. Sunlight maintained a run of five victories since December in taking out the Group 3 Magic Might Stakes. Meanwhile the Grahame Begg trained Written By kept his career picket fence thanks to a win in the Pago Pago Stakes. “He had a little blow, and that will help next week,” Begg said. 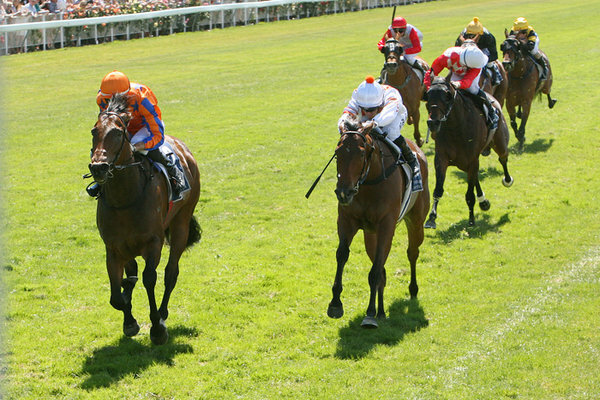 Enbihaar and Prairie Fire have not been raced since slashing efforts in the Blue Diamond. The opening 2YO race at Moonee Valley on Friday night was always going to be highly competitive with a massive double VOBIS bonus of $35,000 on offer. But it was Yulong Monoceros, the Yu Long Investments owned daughter of Squamosa who toughed it out to win not only her share of the $50,000 in prizemoney as well as a further $24,500 in VOBIS bonuses. Aaron Purcell’s stable representative, David Eustace, praised the little filly for her tough rails run win. Yu Long Investments paid just $27,000 for the Squamosa filly out of Yarran Thoroughbreds’ draft at last year’s Inglis Premier Sale. The breeder of Yulong Monoceros, Bendigo based Ross Smith, was delighted that she has turned into such a high-quality galloper. The Moonee Valley winner is out of his Cape Cross (Ire) mare, I’m Taken, who is a half-sister to Group 2 Avondale Guineas winner Pulcinella. Yulong Monoceros is her first winner. “It was a thrill to go and see her race in the spring, and being just a small breeder, the best part of Friday night was that now she is a city winner, she has now herself life as a broodmare,” Smith said. “I like dabbling in pedigrees and she caught my eye as I wanted a Cape Cross mare to breed to Canford Cliffs. 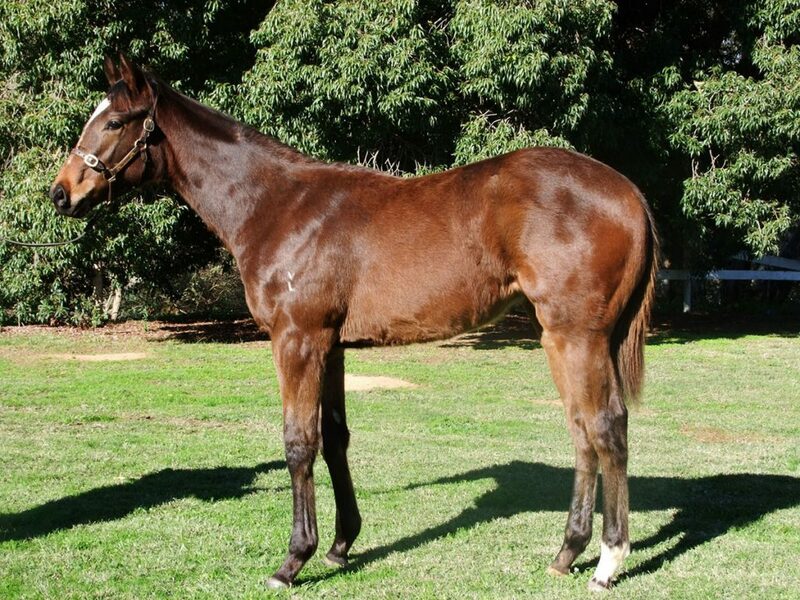 I purchased her after the Inglis Broodmare sale online from James Douglas for only $3000 already in foal to Squamosa. “The cross checked out quite well with Squamosa, so I sent her over to Blue Gum Farm to foal and then go to Canford Cliffs. “Meagan Strickland Wood did a brilliant job weaning her at Yarran, before she was prepped beautifully for the Premier sale. 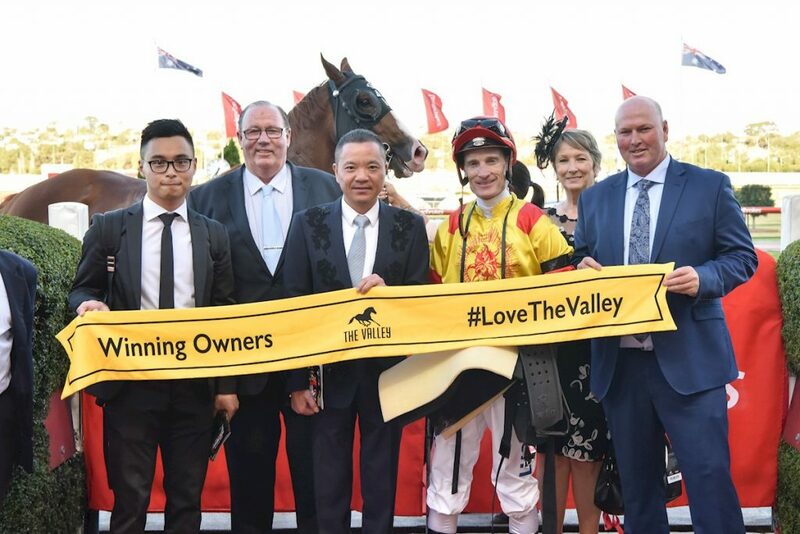 Owned by Chinese business person Mr Zhang Yue Sheng, the Victorian based Yu Long Investments are big supporters of the Aaron Purcell stable, with around a dozen gallopers in work. 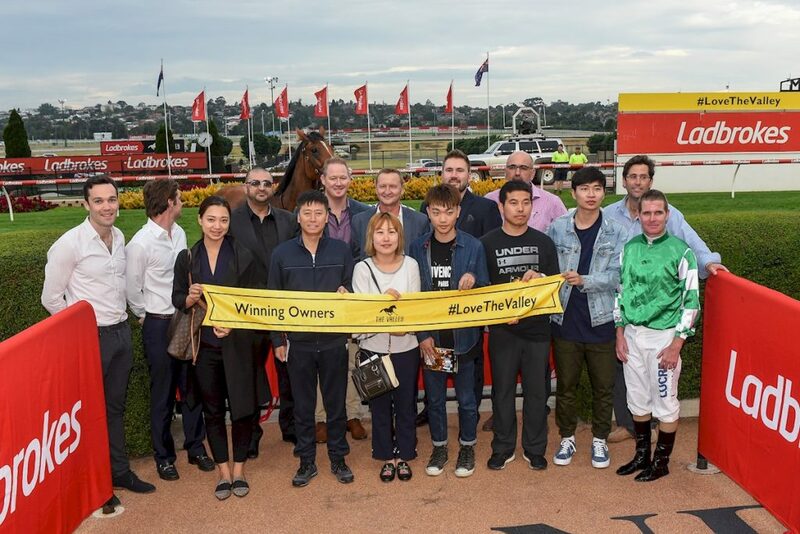 Yulong’s Chief Operating Officer Sam Fairgray was pleased to see Yulong Monoceros claim her maiden city win in a highly competitive field due to the lucrative VOBIS bonuses on offer. “She was up and going early as a two-ear-old with her first two races being at stakes level,” Fairgray said. “There will be a nice stakes race in Adelaide on the 14th of April that she will now be aimed at some valuable black-type. Sally Watkins and the Willaroon Thoroughbreds fan club were enthusiastically cheering on Soho Ruby racing at Flemington on Saturday as she saluted in The Curragh Racecourse Handicap to land her fifth win from twenty starts. Prepared by talented young trainer Levi Kavanagh, the Willaroon bred daughter of Northern Meteor achieved a short-head win over the favourite Top Of The Range, after finishing a solid third at her last start. “I am thrilled that Soho Ruby has turned into such a brilliant performer for Levi. She really started his career off by not only being his first winner but his first city winner,” Watkins said. The four-year-old mare is now expected to line up in the lucrative Golden Mile at Bendigo on April 7 before a trip to Kavanagh’s hometown of Adelaide to run in the Group 2 Queen Of The South Stakes. Watkins bought the mare Red Rapture mare in foal with Soho Ruby from Vinery Stud in 2013 – the year Northern Meteor died – and then sold Soho Ruby for $190,000 at the 2015 Magic Millions Gold Coast Yearling Sale to Levi’s father Mark. Her earnings have now surpassed $286,000. Willaroon recently sold Red Rapture’s yearling filly by Zoustar at the Inglis Premier Sale for $110,000 to Rob Slade from Slade Bloodstock. “She was a beautiful yearling, being a three-quarter-sister to Soho Ruby and bred on the same cross as Sunlight with the Northern Meteor influence,” Watkins said. Red Rapture currently has a filly by Nostradamus on the ground with Watkins being a proud shareholder in the Rosemont Stud stallion. Watkins has kept Red Rapture close to home as she is a difficult mare to breed with, but such precautions still failed to get her in foal to Zoustar last year. Willaroon Thoroughbreds is located at Lurg, about half an hour’s drive east of Benalla. Approximately half of the mares on the undulating property are commercially bred by Willaroon or in partnership with clients to target the yearling sales with the remaining mares belonging to breeders who enjoy retaining their progeny to race. Willaroon has one yearling heading up to the Inglis Easter Sale this year. Consigned through the Milburn Creek draft, Lot 282 is bay filly by boom sire I Am Invincible and is from the young Not A Single Doubt mare Passarelle. “She is a beautiful filly who is very like her mum. There is a lot of Not A Single Doubt about her. She has a fantastic temperament, very correct, a good size, and quite possibly my favourite yearling off the farm this year,” Watkins said. “Gai Waterhouse trained her (Passarelle) and, after winning a couple of her early trials, she was the favourite for the Gimcrack Stakes. Unfortunately, she sustained an career ending injury in her final gallop. 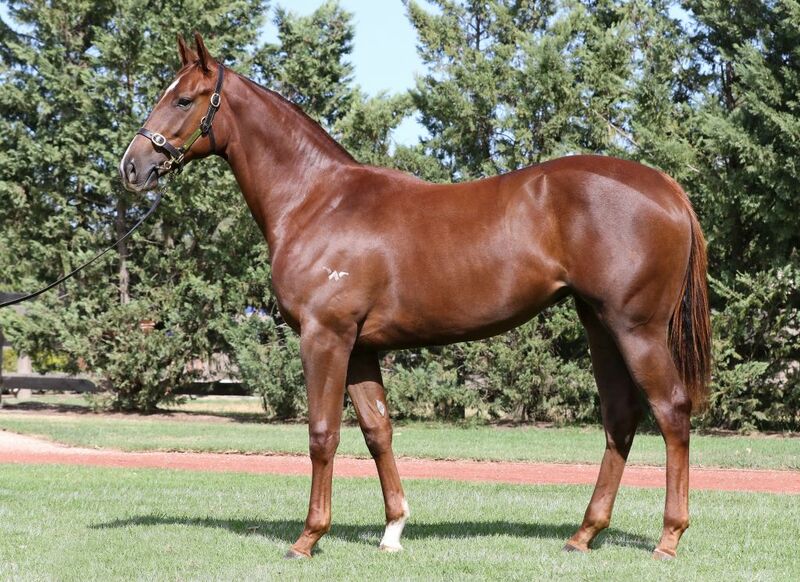 View the catalogue page for the Willaroon bred Lot 282 at the upcoming Inglis Easter Sale. Tenacious frontrunner and Bucklee Farm raised galloper Cliff’s Edge (Canford Cliffs) deservedly saluted on Friday night at the Valley in the Group 2 Alister Clark Stakes after his torrid last start run at Flemington. In the same racing pattern his fans have come to love, the Holburt family bred Cliff’s Edge strolled comfortably to the lead and was too strong turning down the short Moonee Valley straight. Cheering loudly was his biggest fan Bucklee Farm’s Leeanne Smith who literally brought the talented colt into the world at the Greta West stud. “Frontrunners can be hard to ride, but Jamie Mott did a great job judging his pace. He even managed to sneak in a 13 second sectional to give the boy a chance to breathe. He gave him the perfect run,” Smith said. “I sometimes wonder if people outside the industry understand what it means to see a horse you have foaled and raised be so successful…you form a motherly bond that lasts a lifetime. “Many of the breeders may not receive any financial gain out of their win, but we all celebrate as if we have won the lottery. While for some vendors the Inglis Premier Yearling Sale may have been a bit flat in terms of results, Smith was buoyed by the response her horses received from the local buying bench. 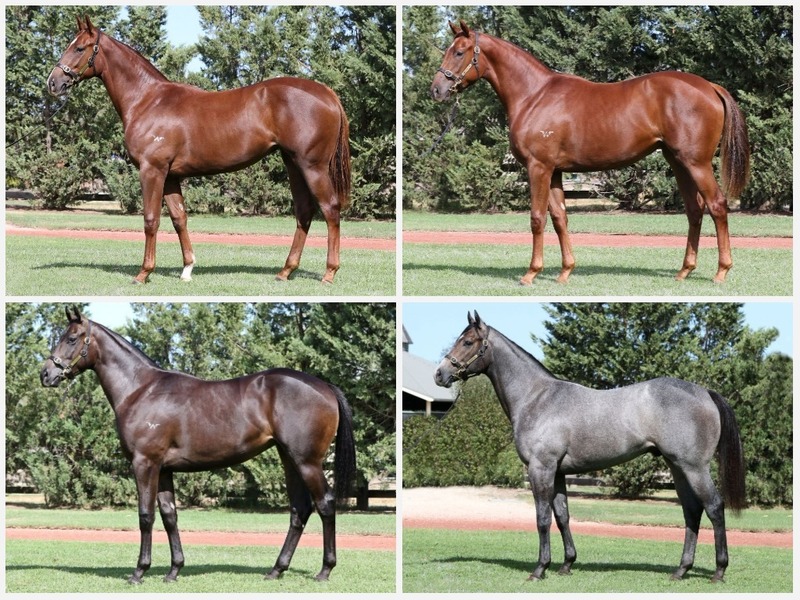 “We had a strong Premier sale and managed to place them with some very good trainers. It was a tough sale, but, all in all, our small select group did really well with most coming close to doubling their reserves,” Smith said. Hardly having time to catch her breath, Smith has now turned her focus to April’s Inglis VOBIS Gold Yearling Sale, at which Bucklee Farm will be presenting a strong and substantial draft of eighteen yearlings. “We have two Canford Cliffs, which is brilliant off the back of Cliff’s Edge doing so well. 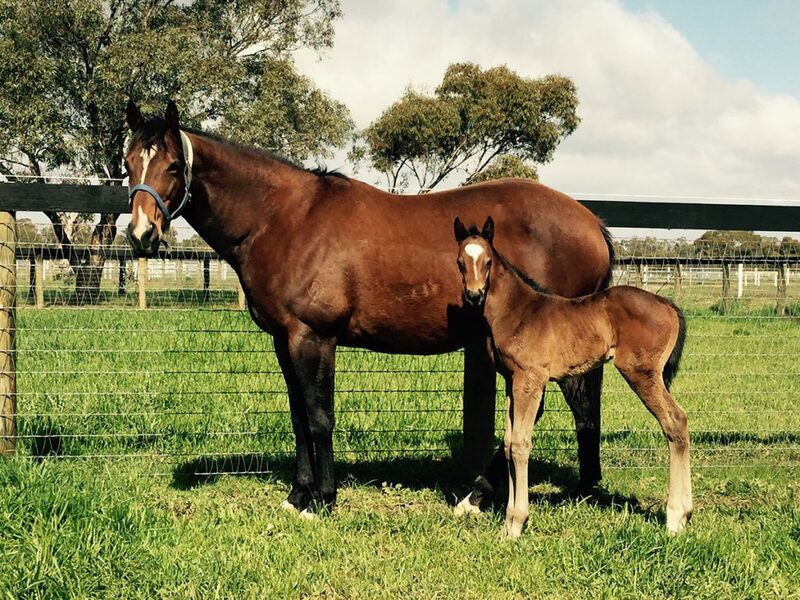 The filly is out of the wonderful Spartacus mare Induct, the dam of Broken, Sunday Escape and Weekend Escape. The colt is out of the Exceed and Excel mare Orphan and is a very neat parcel that reminds me so much of Cliff’s Edge as a foal,” Smith said. “I am also very excited about my three Warhorse colts. They all have nice pages and, based on the previous sales, they are getting the right attention from the buyers. 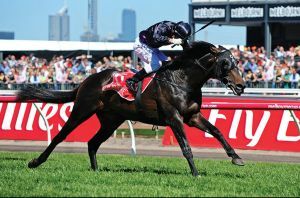 Full details of Bucklee Farm’s Inglis VOBIS Gold Sale draft can be found at inglis.com.au. Fiorente is off the mark! Multiple Group 1 winning stallion Fiorente added the title of ‘winning sire’ to his résumé at Ballarat on Tuesday. The Darren Weir trained two-year-old debutant Hawkshot scored in what appeared to be a high quality juvenile race (with $32,000 in VOBIS bonuses up for grabs). 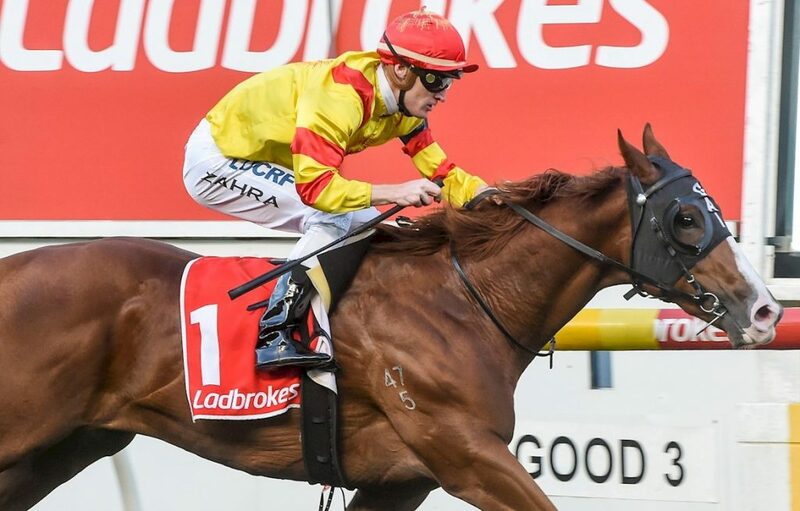 It was fitting the youngster saluted in the distinctive yellow and red colours of Sun Stud as it is the the Romsey based breeding operation which has invested in the stallion and bred Hawkshot himself. Hawkshot was the first winner for Fiorente from just the three starters so far in Australia. The Michelle Payne trained Templar was third on debut at Caulfield in late December. Weir was effusive in his praise for Hawkshot who he thinks will be significantly better over a mile and perhaps longer. “He’s got three-year-old written all over him…I think he’s got a bright future ahead of him,” Weir said post-race. The Ballarat master was equally full of praise for the juvenile’s sire. “I’ve got three or four of the Fiorentes and they’ve all been the same from a training point of view where they’re great late in their work. Hawkshot is the first foal to race out of the Encosta De Lago mare Rosa Perlato. Her grand-dam is the Group 1 Coolmore Classic winning mare Shindig. 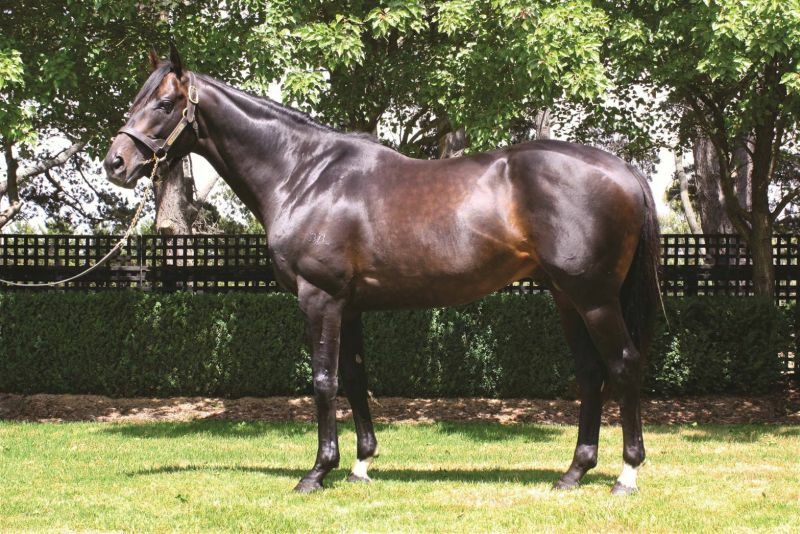 Shindig is the dam of former Eliza Park Group 1 winning sire Shinzig as well as the Listed winning stallion Strada. Rosa Perlato has a yearling colt by Fiorente, a weanling filly by Sun Stud’s Ready For Victory and was bred to new stallion Palentino last season. Fiorente, a winner of both the Melbourne Cup and Australian Cup under the stewardship of Gai Waterhouse, is an Irish-bred son of Monsun. After being retired to the Sun Stud stallion barns, he served 186 mares in his first season and has continued to cover strong books of mares ever since. Yearlings by Fiorente sold up to $100,000 at both the recent Inglis Premier Sale and Magic Millions Adelaide Sale. Sun Stud’s Phil Marshall was thrilled with the win, but expects there will be much more to come from Fiorente and his progeny. “It’s very exciting to get a two-year-old winner like him who is going to go on to better things,” Marshall said. “The (Fiorente progeny) are just going to get better. Passionate and committed Victorian breeder Christine Mills had one of the biggest thrills of her thoroughbred industry career when debutant Sister Sledge ran a slashing third in the Group 2 Reisling Stakes over the weekend. In a very fast run race Sister Sledge, ridden by Glyn Schofield, sat perfectly outside the leader and travelled into the run easily finishing third with her nose on the tail of the winner. 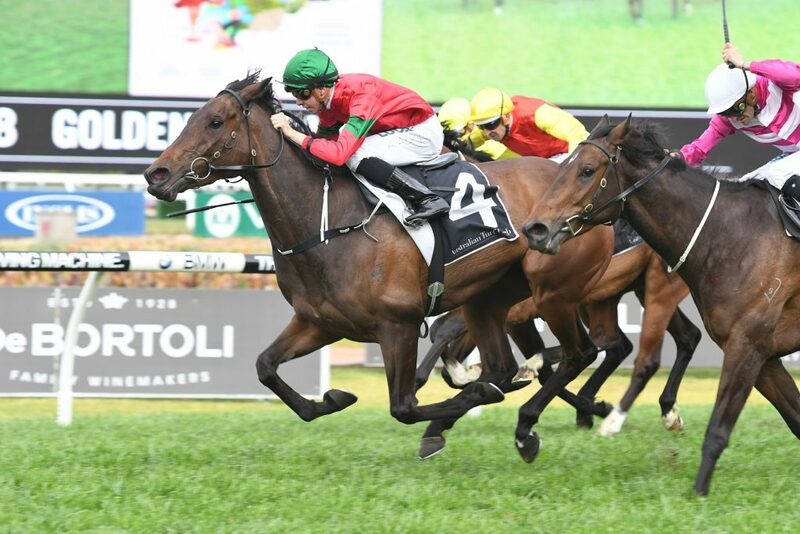 While Christine and the Hollylodge team at Avenel have their fingers desperately crossed that she may sneak into the Golden Slipper field, it seems Group 1 juvenile targets in weeks following may be more likely for the Anthony and Edward Cummings trained filly. Whatever the filly’s racing fortunes are over coming weeks and months, Christine clearly has a fondness for the filly going by her strong memories of her upbringing. “In May 2013, I was at the Inglis Great Southern Sale looking at broodmares for a client,” Christine said. However, the client did not consider the mare as having potential, so Christine watched the sale alone. When Unblemished came into the ring, she was most surprised to see the mare go around for next to nothing, and although she did not plan to make a purchase herself, she couldn’t help but put in a winning bid for a modest $3,500. 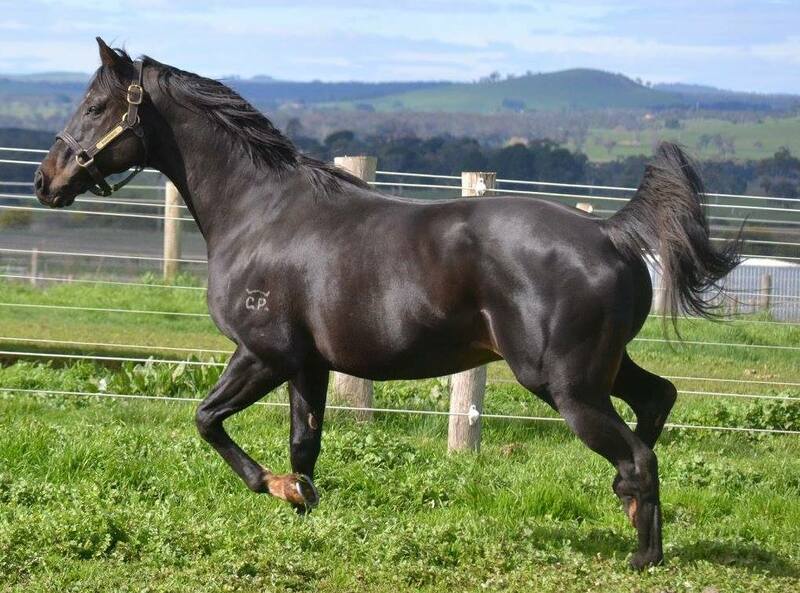 Unblemished’s subsequent foal by Stryker, a colt eventually named Cyclone Stryker, was sold to a South Australian trainer and won two two-year-old races. Following foals, Frisky Cruiser (seven wins) and Metier (winner of the VOBIS Gold Eureka at Ballarat) also had a degree of talent. This next foal was lovely, leggy bay Uncle Mo filly born. “She was the perfect girl, doing everything right as she grew up,” Christine said. 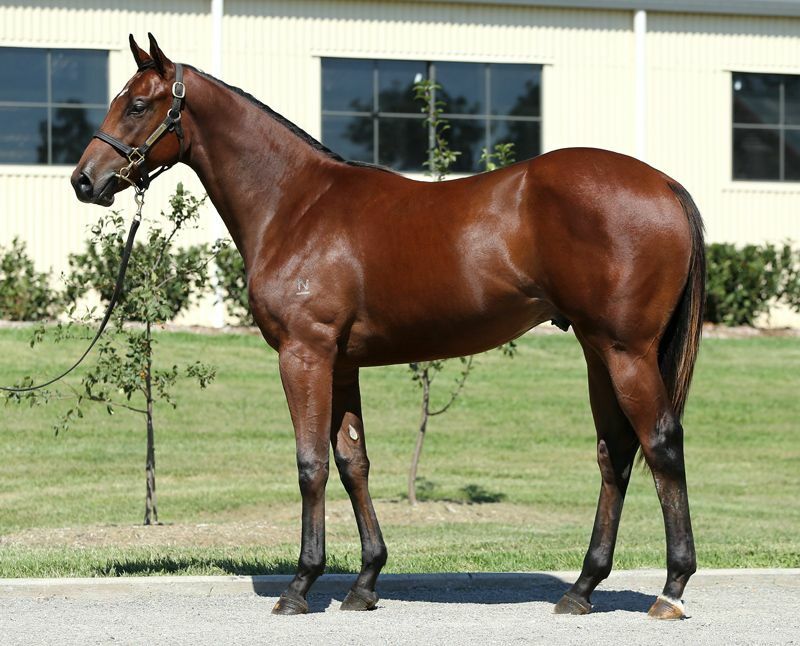 The weanling filly was entered in the 2016 Inglis Great Southern Sale. “I was happy to take her home and race if she did not get the reserve, but she was run off her feet with inspections and exhausted by the time of the sale,” Christine said. She caused a minor bidding war between two big names and was eventually knocked down at $48,000 to Coolmore. Chris kept track of the filly through her son Daniel and waited for the filly to be named and make her debut. That debut of course for the filly, now named Sister Sledge, was on Saturday at Randwick in the Reisling Stakes. Christine says the Hollylodge team was on edge as the race got closer. Daniel was in Adelaide with the yearling draft at the Magic Millions sale while Christine and Peter were visiting their race fillies on the Mornington Peninsula (but made sure they stopped at a TAB to watch the race). They were ecstatic with the performance, with Christine shaking with excitement trying to take a call from Daniel in Adelaide. It had been a long road to buy Unblemished, breeder Sister Sledge and wait for her to get to the races, but the Group 2 placing on debut was tremendous reward. Interestingly, the filly’s granddam was a Rubiton mare called White Mist – a Group 2 placed mare – something Sister Sledge has now achieved and is sure to better in coming months. From a sale purchase of only $3,500 for the dam Unblemished and taking a chance on Uncle Mo, Chris and Peter have now certainly improved the pedigree of the dam for future breeding. Everything achieved by the filly now is just a bonus for the hardworking team. 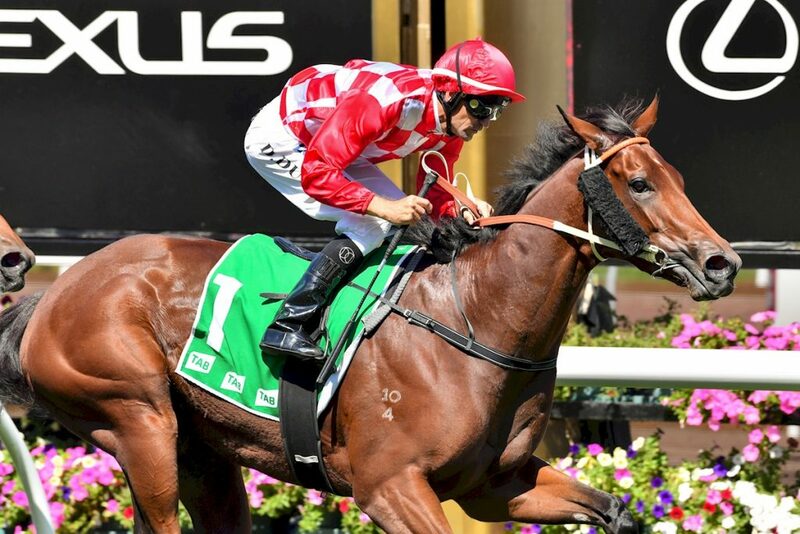 Elia Park bred sprinting star Redzel scorched the turf to lower the 1000 metre track record in the $500,000 Group 2 Challenge Stakes at Randwick on Saturday. It was the first time the gelding had raced in Sydney since winning the inaugural $10 million Everest last October. He has now taken his career earnings past $8 million. Tracking the ferocious speed set by the freewheeling Super Too, the Peter and Paul Snowden trained Redzel came clear in the final stages to defeat the field by one and a quarter lengths. “I have never doubted his ability and he always gets the job done,” co-trainer Paul Snowden said. “I’d love to have about 10 of him. Actually, I won’t be greedy, five would do. He’s so quiet, so relaxed, so tough, so fast, he handles it wet, he handles it dry. He ticks every box. Redzel advances his record to 12 wins, 5 seconds and 1 third from 23 starts with earnings of $8,221,750. Bred by Eliza Park’s Lee Fleming, Redzel is the tenth living foal and second stakes-winner, after the Group 3 winner Danerich, for the former top-class Rubiton mare Millrich. Winner of the Group 3 Sweet Embrace Stakes, Millrich was placed in the Group 1 Golden Slipper, Group 2 Silver Shadow Stakes, Group 2 Magic Night Stakes and Group 2 San Domenico Stakes. 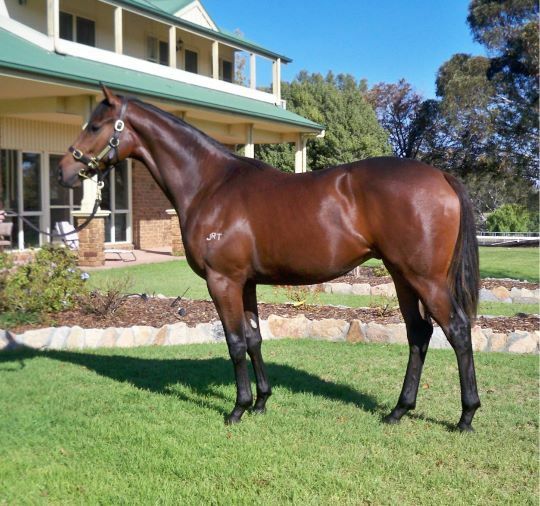 A sister to the dam of the talented El Roca (Fastnet Rock) Millrich unfortunately had to be euthanased with laminitis three weeks after foaling Redzel at Eliza Park’s Northwood property in Nagambie. 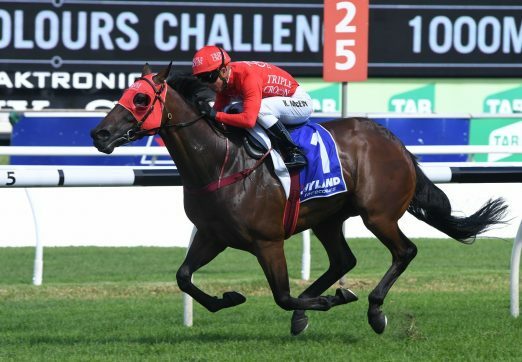 Former Eliza Park Stud Manager Kim Alderton, who now runs her own operation, Shadow Hill Thoroughbreds at Avenel, remembers Millrich and the “robust” Redzel fondly. “She was a super mare, and I was fortunate to have the pleasure to care for her and her offspring over my eighteen years at Eliza Park,” Alderton said. And that attitude has certainly carried him in good stead as he continues his incredible racing career. It was a big week for Robert Crabtree and his Dorrington Park operation with strong results at the Inglis Premier Yearling Sale followed by a Group 2 victory in the VRC Kewney Stakes for his homebred filly Bella Martini. Prepared by Team Hawkes, the daughter of Stratum undertook her first effort at 1400 metres with aplomb. Enjoying a good ride from Dwayne Dunn from gate one, she was still full of running when she hit the line to win by a comfortable three-quarters of a length. “It’s so exciting to win this with a homebred. I think she’ll go to the paddock now, she’s done a magnificent job,” said a delighted Robert Crabtree. That broodmare Silverbeat is herself a homebred of Crabtree’s while he can also lay claim to arranging her Group 1 winning sire Distant Music to shuttle out to Australia and stand at Yallambee Stud. 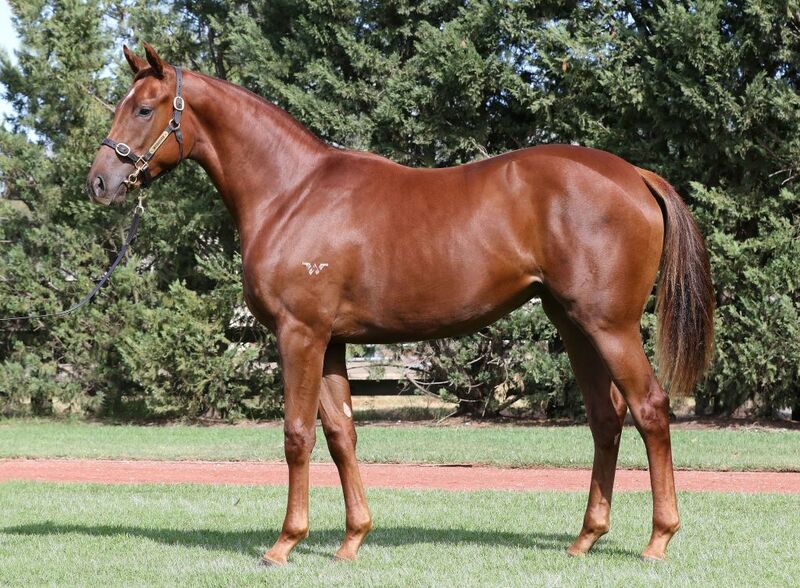 Bella Martini’s win was certainly a further filip for her half sister, a filly by Snitzel that is headed to the Inglis Easter Sale as part of the Segenhoe Stud draft (Lot 359 https://inglis.com.au/sales/info/2018+Australian+Easter+Yearling+Sale/catalogue/359). Segenhoe’s Peter O’Brien couldn’t be happier with the filly and is thrilled to present the outstanding yearling on behalf of Dorrington Park. “The filly arrived at the farm from Robert’s (Nagambie farm) around 6 weeks ago, and as soon as she stepped off the truck she was as good a filly as you would ever wish to see,” O’Brien said. “She is just stunning, a beautiful clean mover. A typical Snitzel in regard to strength, substance and a big girth, with the perfect daisy cutter action. Mornington Peninsula’s Tarcoola Stud often takes just small drafts interstate to Australia’s premium yearling sales, but what it lacks in numbers it makes up for with quality. That certainly is the case with their draft of two for this year’s Inglis Easter Yearling Sale at the new Warwick Farm complex. Tarcoola’s Ken and Denise Williams will be offering two high-class yearlings, both of which are genuine, homegrown products. They are Lot 167, a colt by So You Think from Danehill Dancer mare Hold Me Closer and Lot 430 a Fastnet Rock colt from the Bel Esprit mare Vivacious Spirit. Both dams were bred, raced and have been retained by the Tarcoola operation. Ken Williams says the yearlings are examples of the good management of the mares throughout their lives and of their love of pedigrees. He says both youngsters were bred utilising a broodmare DNA analysis method used by Tarcooola. This involves blood sampling to facilitate the optimal stallion choice through UK’s The Thoroughbred Genetics Co.
“The So You Think colt is a lovely big colt. He is very correct, very athletic and is the spitting image of his father. 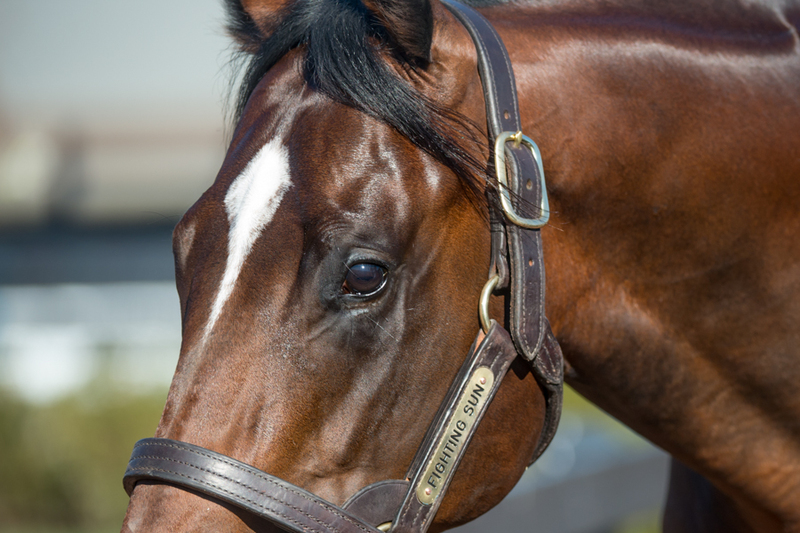 He will get the buyers’ attention…he will be the perfect classic – miler prospect,” Ken said. Hold Me Closer is a half-sister to Listed winner How Funny and the dam of Jester’s Girl. They are from the family of Assimilate who took out the Listed Canberra Guineas on the weekend. The colt is her first foal. Lot 430 is the bay colt by Fastnet Rock from the Group 3 winning Vivacious Spirit who represents one of Tarcoola’s greatest successes having also produced Costa Viva, a winner of the Group 1 NZ One Thousand Guineas. Ken remembers the mare’s racing days fondly, referring to her as being ‘freakishly fast”. “We probably never saw the best of her as she had delicate legs, but Mick Price managed her brilliantly. When she let go, she was an unbelievably quick mare, and the times she ran were just outstanding,” Ken said. She was placed twice at Group 2 level and earned over $250,000 in prize money. She is three-quarter sister to Listed winner Audacious Spirit, and a half-sister to stakes placed Jacques Le Naif. Also among Vivacious Spirit’s produce is the winning Hong Kong galloper Red Horse, the city winning Staviva and the stakes placed Tarcoola Spirit. “She is a beautiful mare and being lightly raced, it is no surprise to me that she has been a wonderful producer so far. The theory is that she was a Group 1 quality galloper, so she has now put all that talent into her first foal and produced a Group 1 winning filly,” Ken said. Based on the beautiful Mornington Peninsula, Tarcoola Stud covers 250 acres of ideal thoroughbred-rearing land. The mild climate and reliable rainfall make this region perfect for foaling down, growing young horses, spelling racehorses and preparing yearlings. Heywood thoroughbred breeder Russell Troeth seems happy with his lot at his sheep farm in the Western District of Victoria. Breeding a few foals a year…selling the odd one, keeping the rest to race…he enjoys the hobby of examining pedigrees and watching the young horses develop. 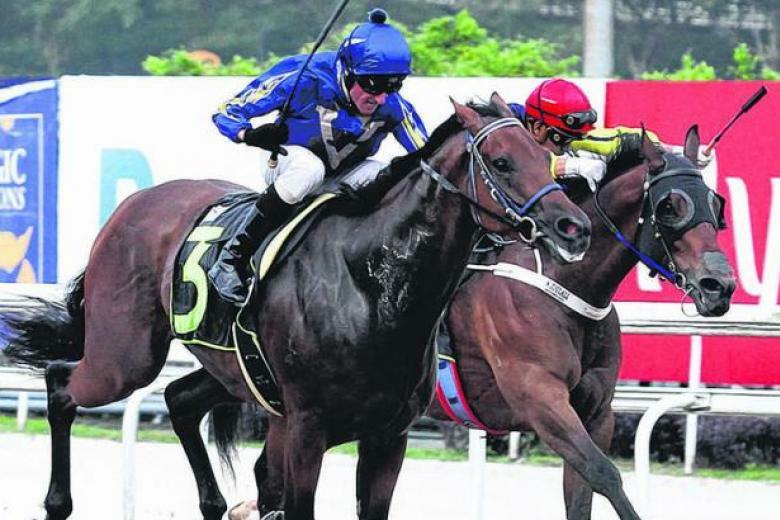 And one he bred has certainly developed extremely well and is among the better young horses in Singapore. Augustano, a son of Hard Spun bred by Russell at the Heywood farm, racked up his fourth win in the past six starts on Sunday. “I always thought he was a nice colt…maybe I’ve sold the wrong one!…but if you breed a few you’ve got to sell something,” said Troeth. The win on Sunday gave the three-year-old gelding’s legendary trainer Lee Freedman food for thought about chasing the riches of Singapore’s Three-Year-Old Challenge. That three-legged series, through March and May, incorporates the Group 3 Singapore Three-Year-Old Sprint (1200m), the Group 2 Singapore Three-Year-Old Classic (1400m) and the Group 1 Singapore Guineas (1600m). “He was impressive at his last win, but it was not the plan to lead today as I wanted him to come back for us since he was getting back in trip,” Freedman said. Jockey Glen Boss is also a fan of the Victorian bred youngster. “He is a good-looking individual. He wants to please all the time,” Boss said post-race. Troeth has been in the breeding side of things for about ten years, albeit he grew up in a family which has bred and worked horses of one kind or another for a number of generations. In terms of stallions, he has sent mares to the likes of Camelot, Toronado and Fighting Sun while he now has two mares in foal to Darley Victoria’s new shuttle sire Frosted. But he can’t forget the former Darley Northwood sire of Augustano. Hard Spun no longer shuttles to Australia but has left the likes of multiple Group 1 winner Le Romain alongside Group 2 winners Text’n’Hurley, Gatting, Tarquin and San Nicasio. He also sired South African Group 1 winner Ertijaal from his Victorian base. “Hard Spun, value for money-wise, was one of the better of the sires you could send a mare to,” Troeth said. Troeth sends his mares to Maldon’s Oakford Farm, operated by the renowned McKnight family, for foaling down. “He’s (Brian McKnight) very good at handling foals and going on further with them,” Troeth said. And like Augustano, the yearlings are also prepared by the McKnights if they are heading to the sale. The then yearling Hard Spun colt was taken to Oaklands Junction for the 2016 VOBIS Gold Sale where he sold for $60,000 to trainer Kane Harris. Harris then prepared him for the Inglis Ready to Race Sale later that year where a Thai buyer bought him for $110,000 to race in Singapore. Augustano has now in excess of $187,000 for his connections and will no doubt be racking up quite a bit more if his recent talent on show is anything to go by. 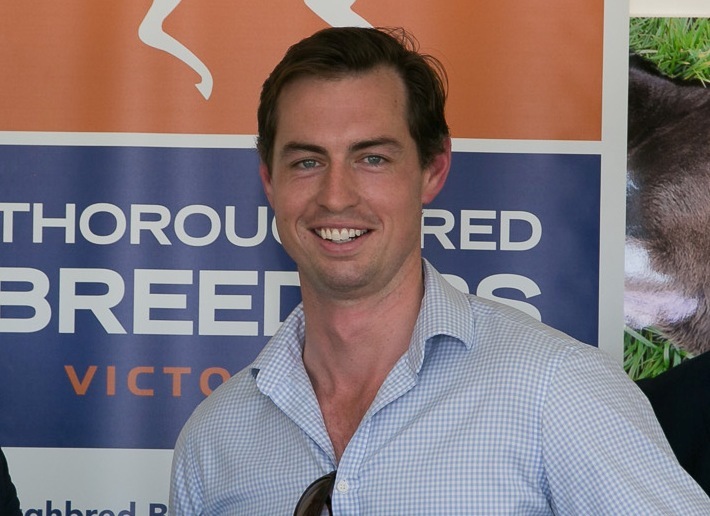 Woodside Park Stud announced this week that it has secured former Inglis Senior Bloodstock Consultant, James Price, as its new General Manager Commercial. James has had a long career of over ten years at Inglis, most recently as as their Senior Bloodstock Consultant in Victoria. James will be responsible for the management of Woodside’s bloodstock, stallion nominations and marketing and communications. He will formally commence his role at Woodside on Monday 19th March. Woodside has also advised that Mark Rowsthorn will be taking on the role of Chief Executive Officer and will be responsible for the day to day operations of the business and its strategic direction. “I am extremely passionate about this business and am keen to take Woodside to greater heights over the coming years,” Rowsthorn said. “The outlook for the business is extremely strong and I can’t wait to see what we can achieve over the coming years,” Rowsthorn said.